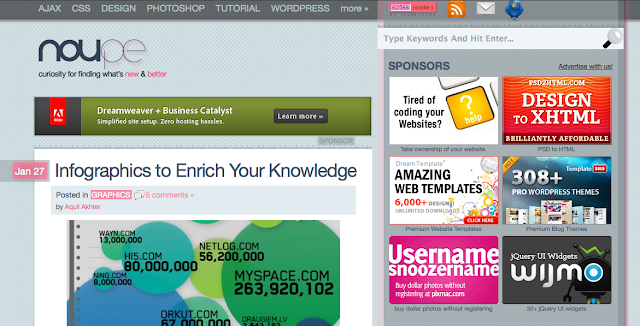 There are a ton of web blogs out there and everyone has their favorites. 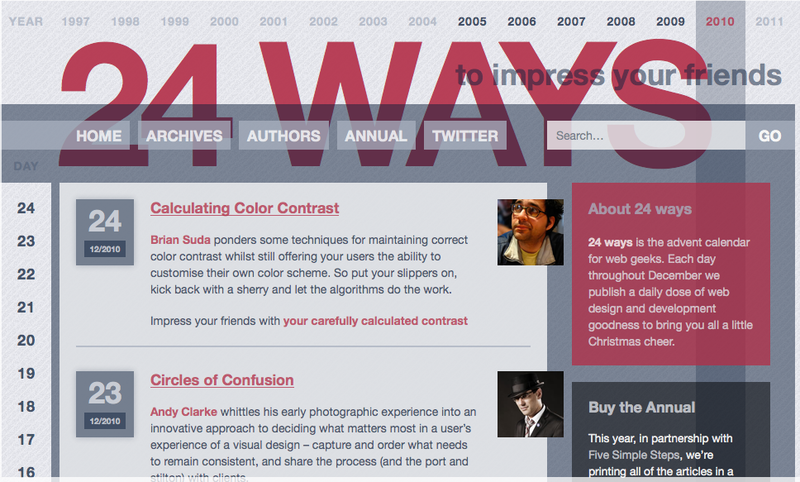 Below are a few of my favorites related to web design, web technology and the website world. 24 Ways to Impress your Friends is a web blog that includes web design and development articles and tutorials. The founder and executive creative director of Happy Cog and co-founder of A List Apart, Jeffrey Zeldman, helped put this site together with numerous authors. Every year since 2005 an author will write a blog from December first until the day before Christmas. Each post is always fantastic and helpful. Even though this blog isn't updated everyday, they are still great blogs to extend your web knowledge and are worth reading through. 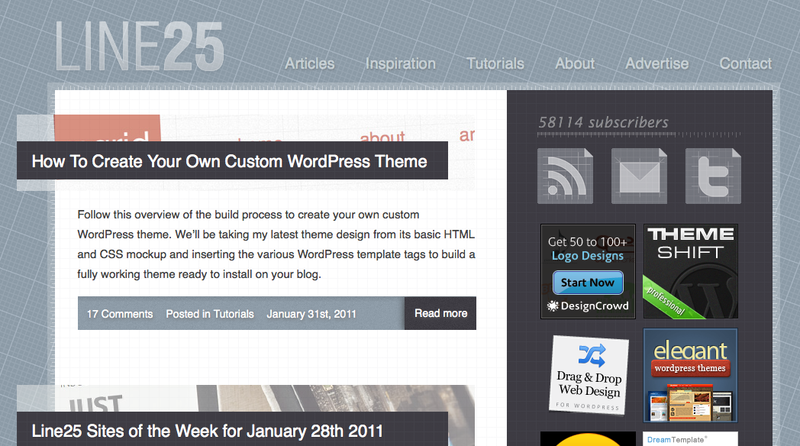 Line25 blog splits their design blogs into 3 different categories: Articles, Inspiration, and Tutorials. Though all of the blogs are inspiring, they are all geared to help evoke creativity. Line25 was created by Chris Spooner, who blogs for Blog.SpoonGraphics too, which is also worth checking out. The Net.Tuts+ blog offers web developers and designers tutorials and articles on technologies, skills, and techniques to help them improve. 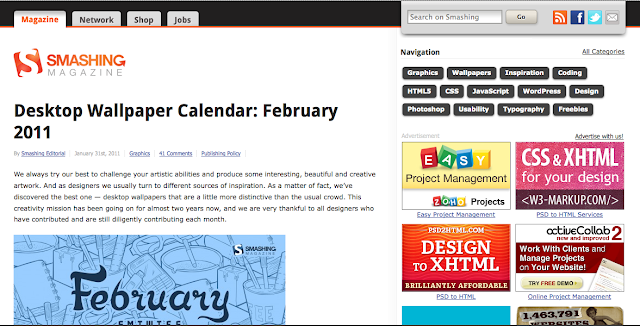 They also blog about tips and Basix, which is PHP, HTML, CSS, etc. Net.Tuts+ is a part of the Tuts+ network, there are many other Tuts+ blogs such as PSD and Audio, check out their sites tab for more. These are just some of my favorite web blogs and we encourage readers to share theirs by commenting to this post. TBH Creative is a website design company in Indianapolis, Indiana. We create effective and advanced websites for businesses. One of our services is business blogging and we would be happy to help your blog strategy.